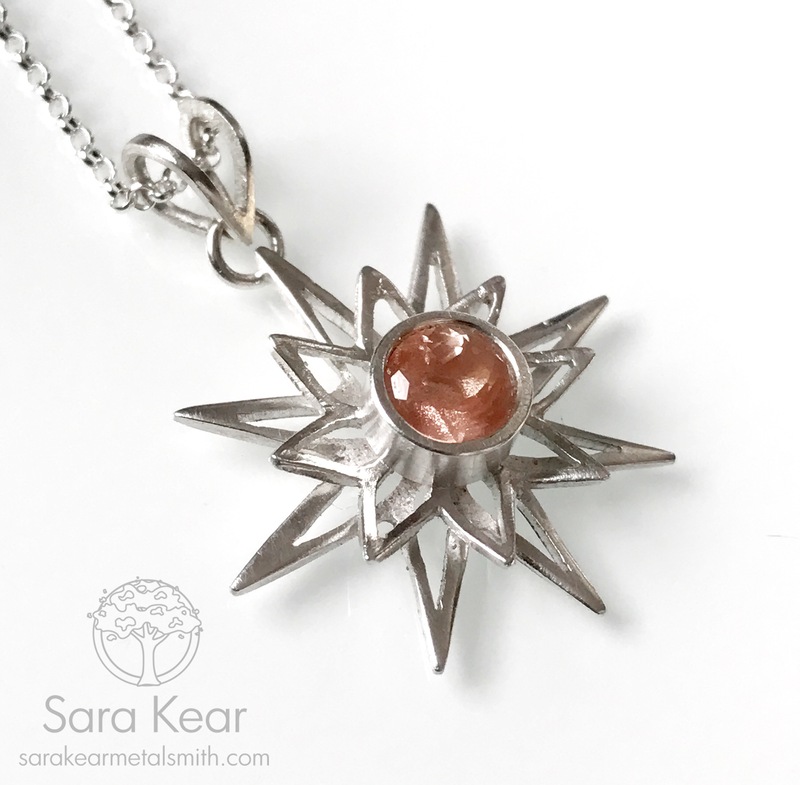 I recently had the joy of being commissioned to make an extra dainty sterling silver sun pendant with a sunstone in the center. 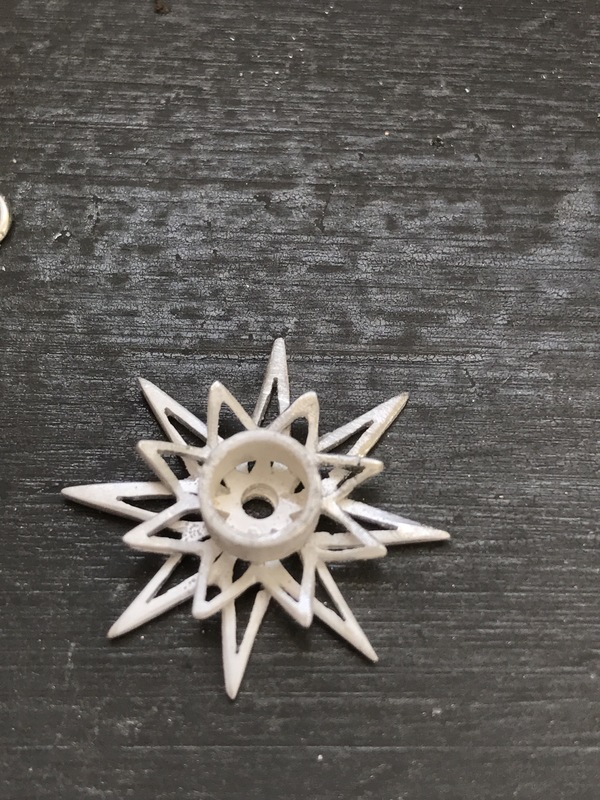 Here is a peak at what went into making this little sun that is smaller than a quarter. 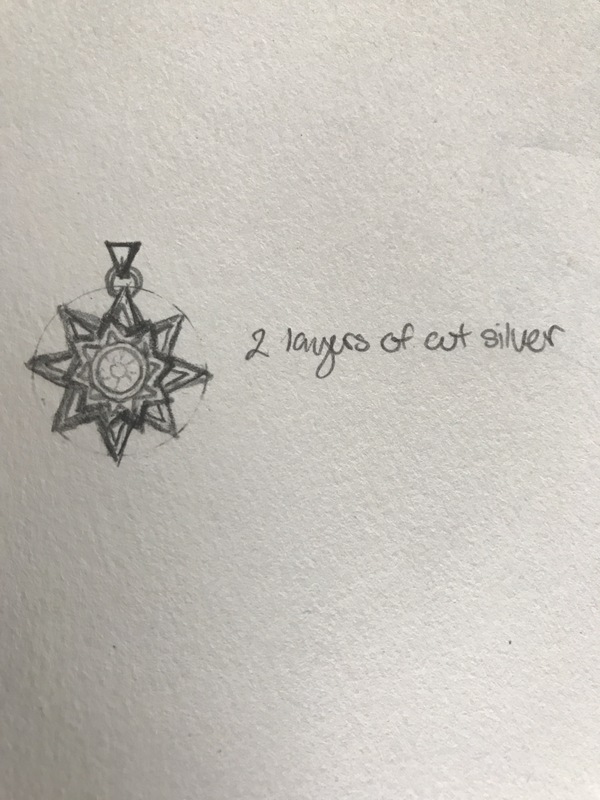 It all started with a sketch. After the sketch was approved I moved it into the computer to fine tune the design. Meanwhile I searched through several of my suppliers to find the perfect stone. 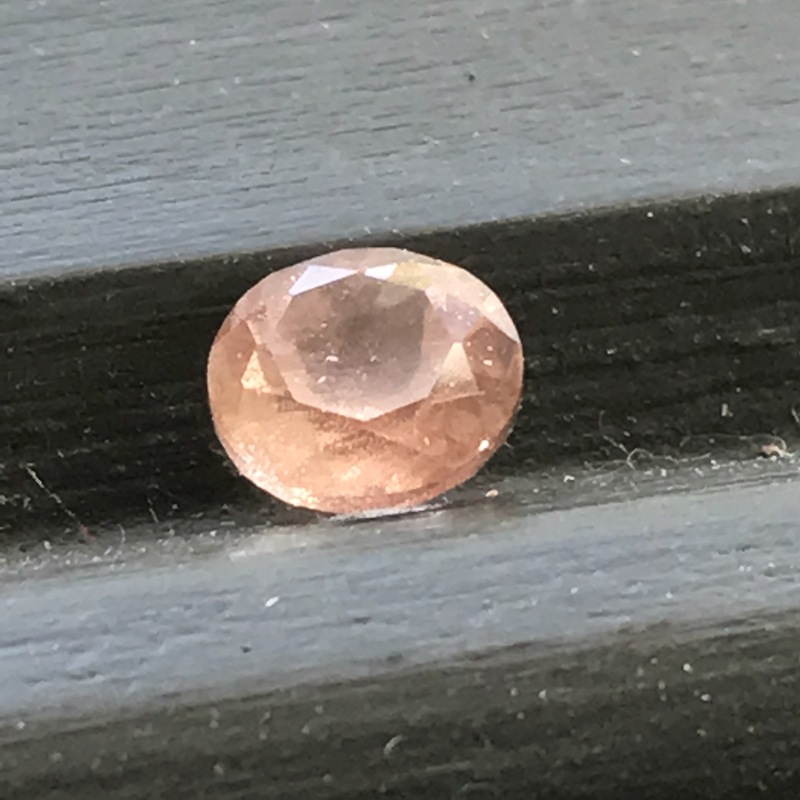 This sunstone was mined in Oregon. The glitter effect comes from metallic inclusions called schiller. 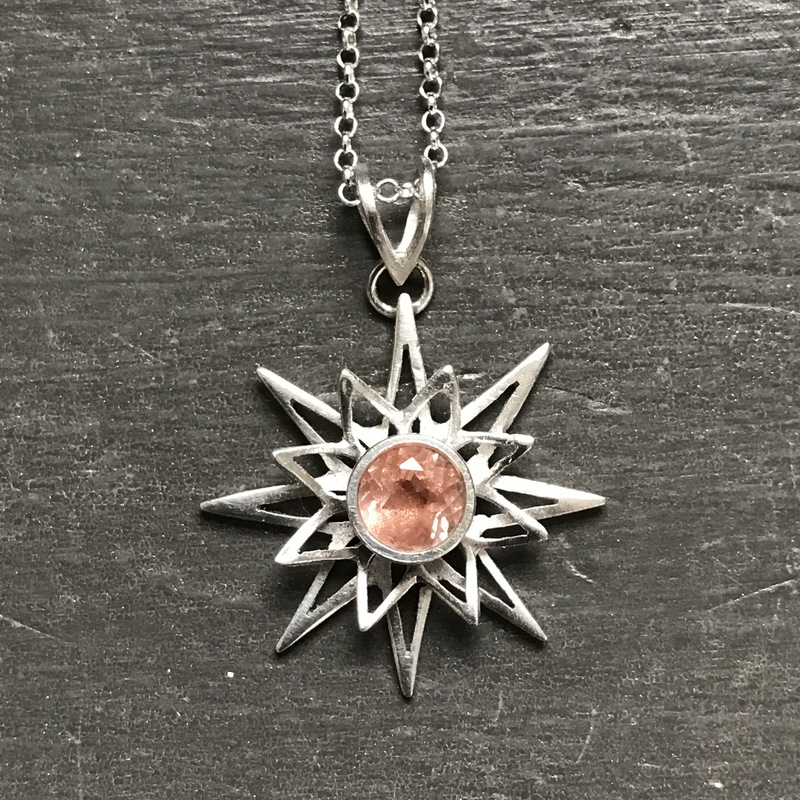 Not all sunstone has schiller, but I wanted the center of this pendant to sparkle. 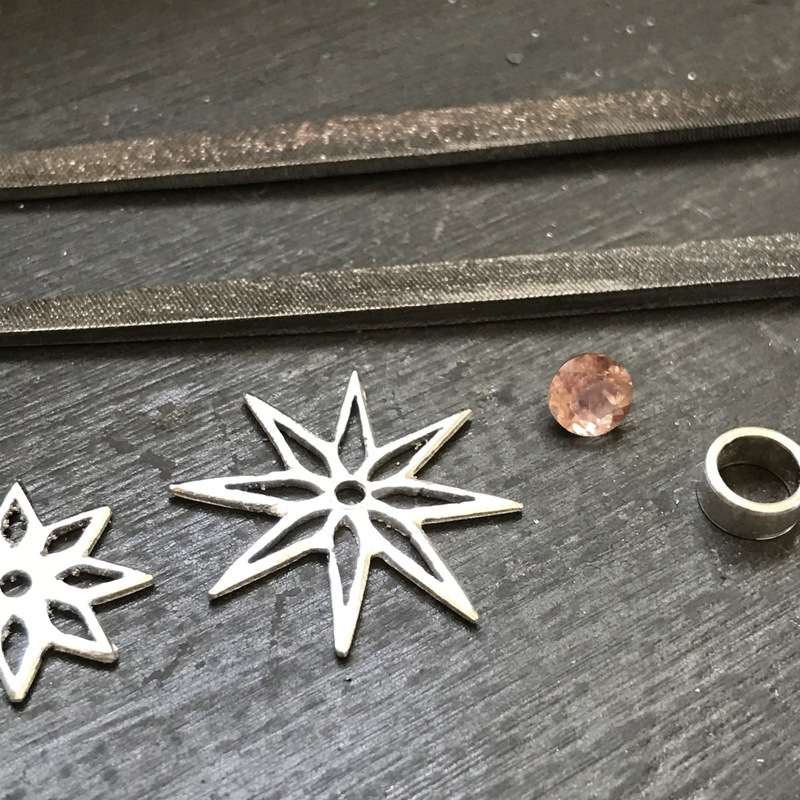 The fun started when I could finally start with the metal. 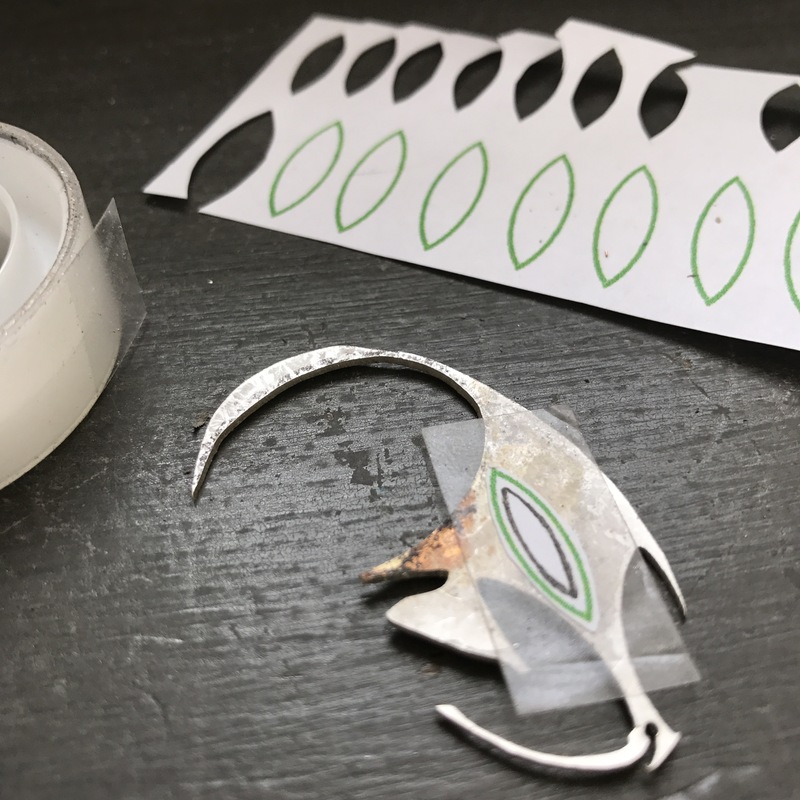 When everything was all cut it was time to file the edges. Then it was time to play with fire. 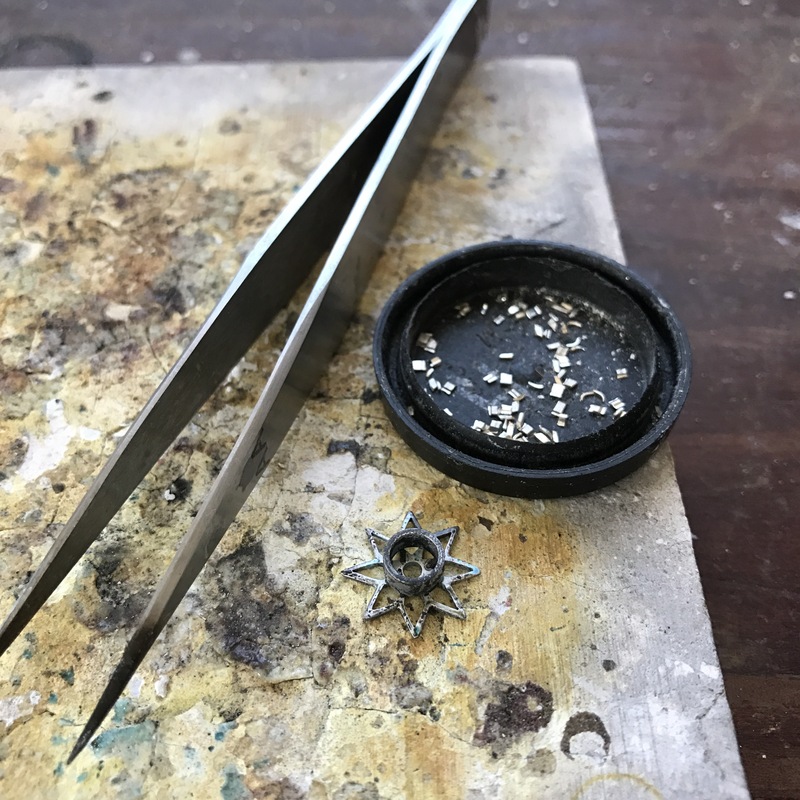 I keep my tiny (flea-poop-sized as my professor calls it) pieces of solder in old (over ten years now!) film containers and use the lids as trays. 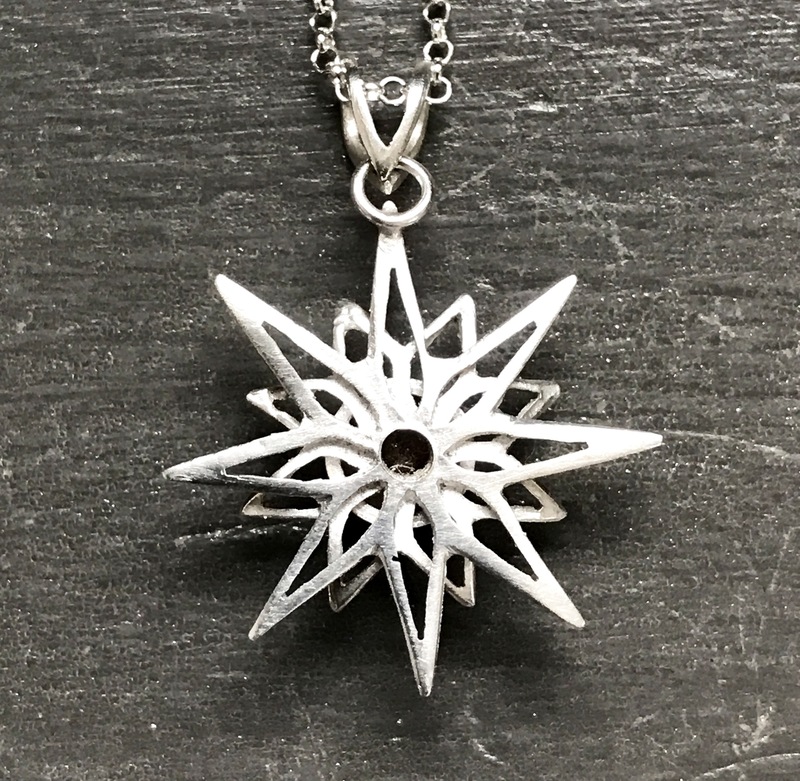 All that darkness you see on the silver is from oxididization of the metal from the flame. To get it back to being shiny it has to sit in a crock-pot of mild acid for a little bit. 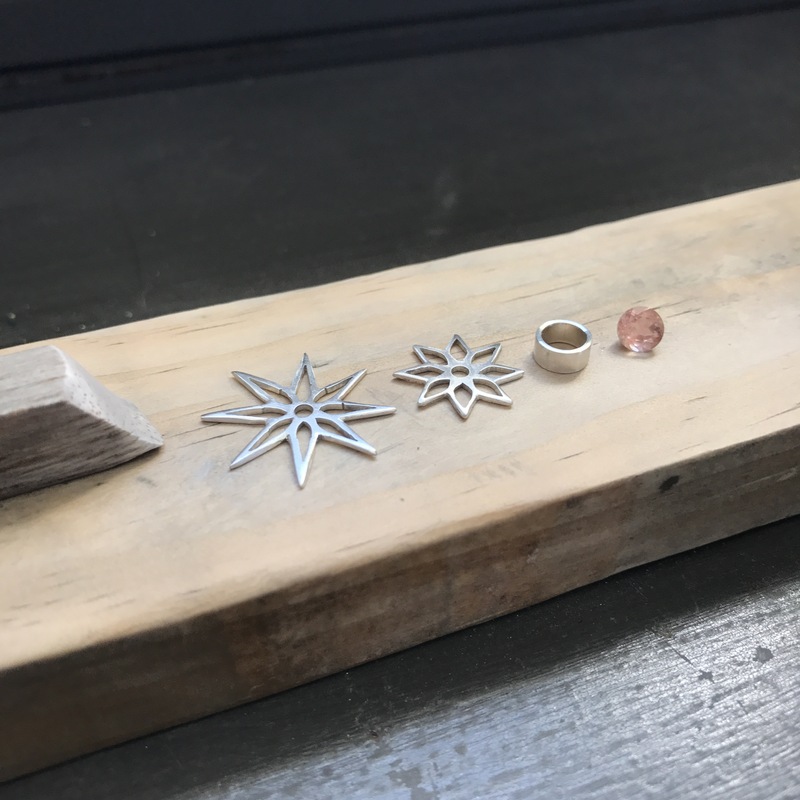 After the top pieces were soldered I formed up the points to add some shape to it. 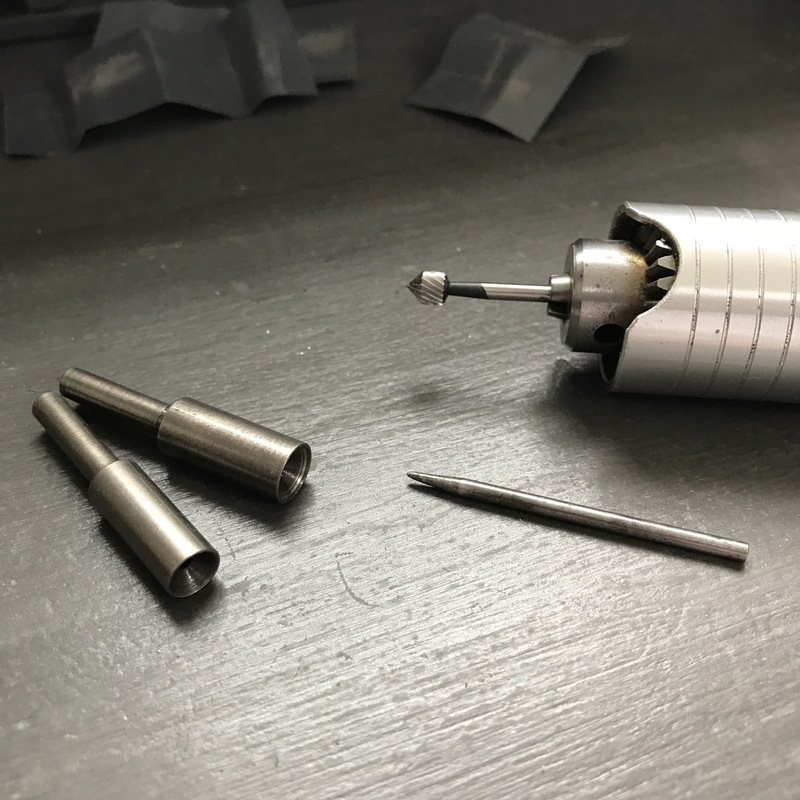 When I soldered the top pieces to the base I made an oops. I kept the flame in one spot a second too long and partially melted one of the points! 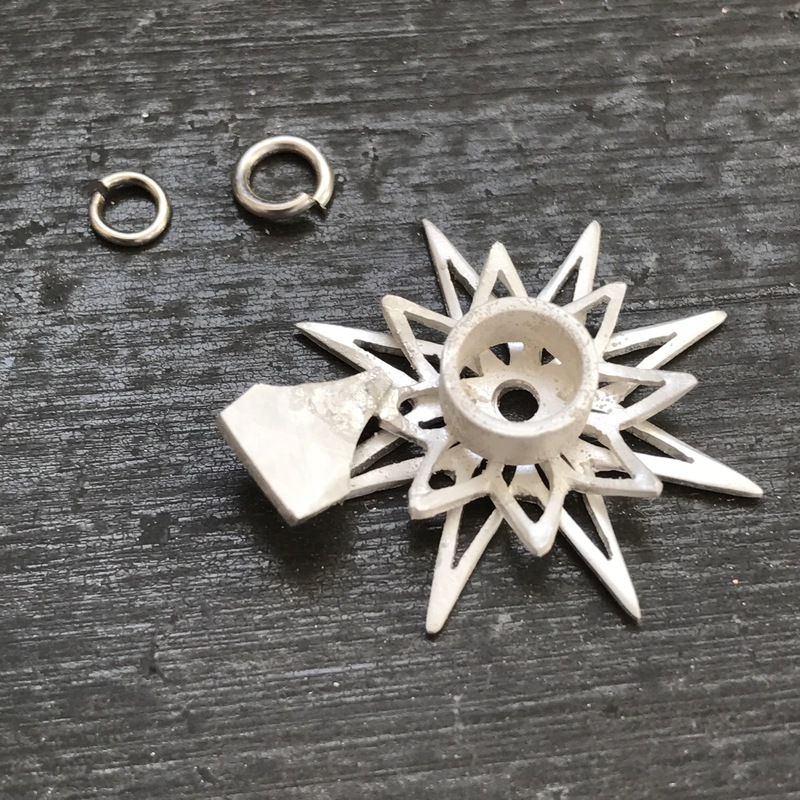 I had to fit another piece of silver to the melted point so I could re-cut it to the proper shape. These things happen sometimes! After a little extra filing and sanding it was as if it never happened! Next it was bail making time. 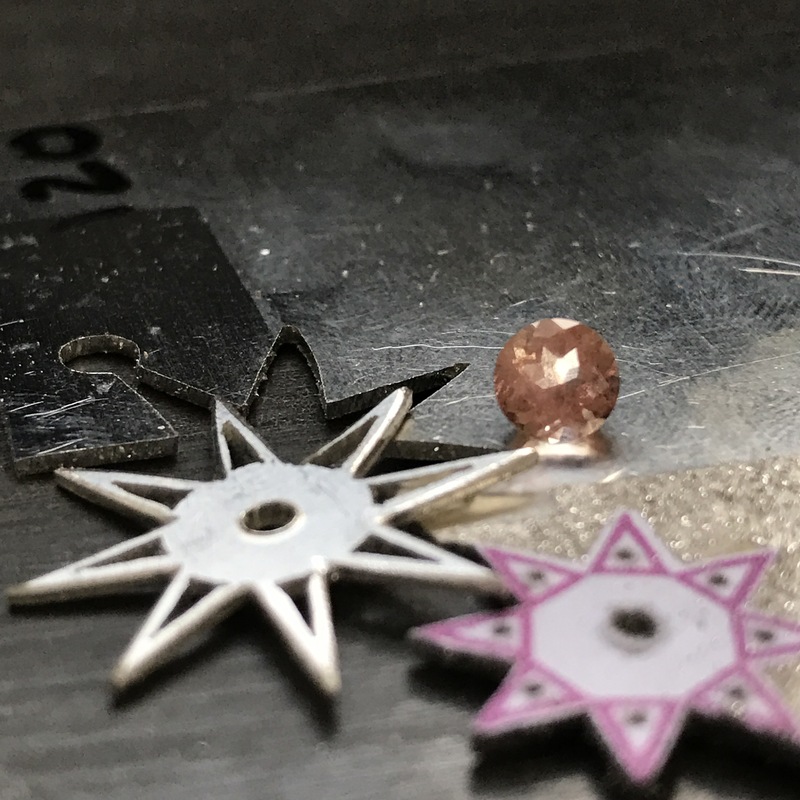 And after that it was finally time for stone setting. 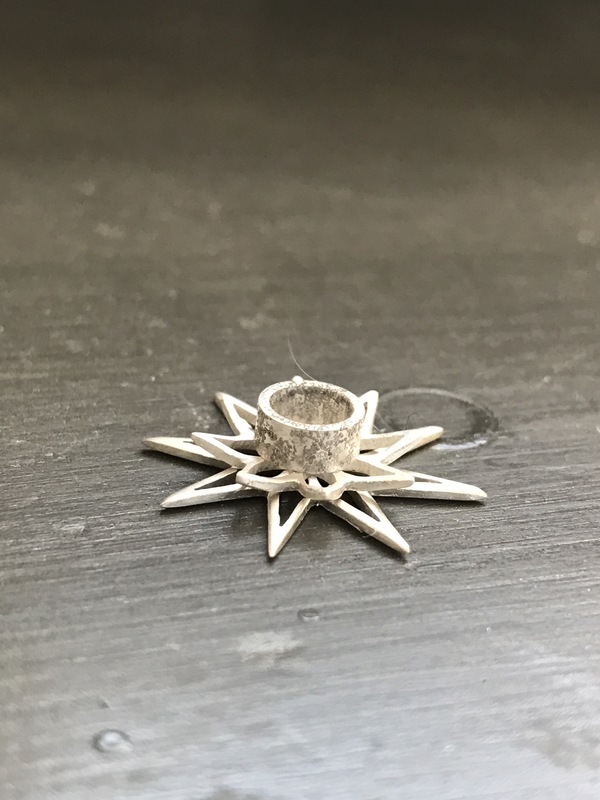 Setting burs are used in rotary tools to grind out a seat for the stone in a tube setting. Then the edges of the tube are carefully pressed inward to hold the stone in place. 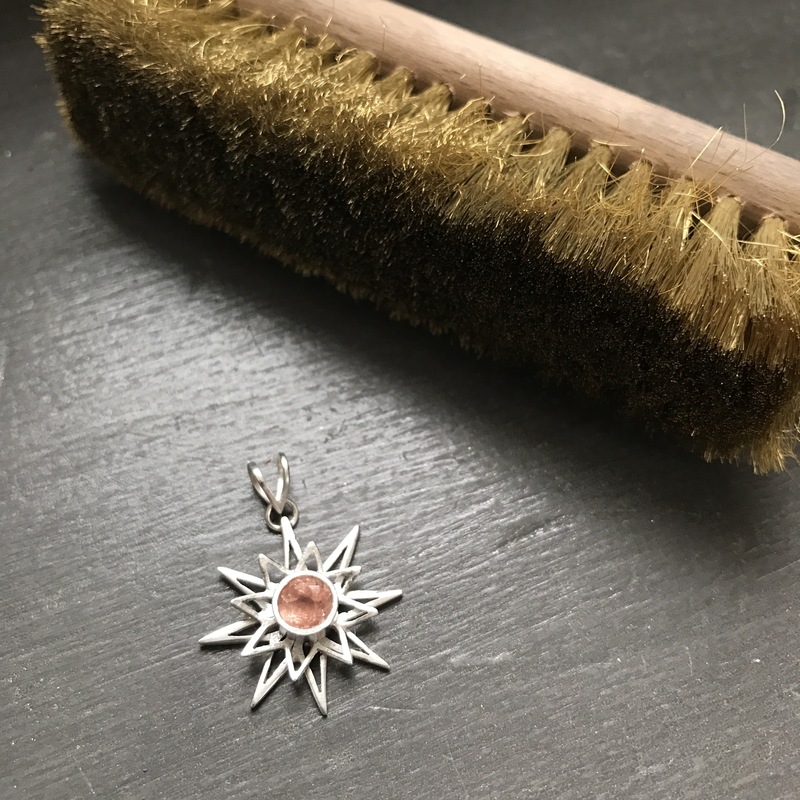 Finally the whole thing is polished up into a shiny little sun! I hope you enjoyed seeing what went into making this piece! If you have any questions I would be happy to answer them. 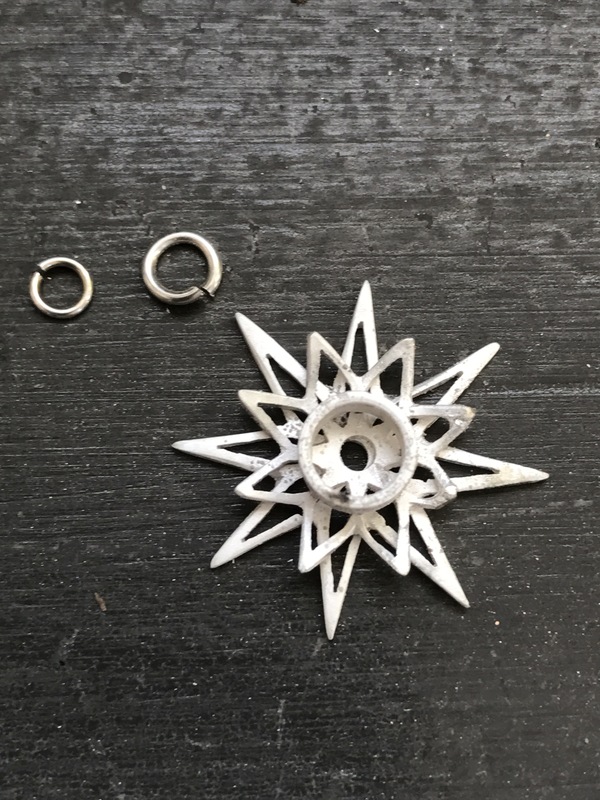 I love talking about metal-working! WOW…that was so interesting and cool!! It turned out beautiful😊. Even the silverwork by itself was gorgeous! I’m sure the customer will enjoy it!